We’ll admit it - we’re obsessed with blazers. After seeing retail stores charge well in excess of $500 for blazers of questionable quality, we took it as a challenge to see if we could do better. We’ve always been bored by other blazers. All we ever heard was how a blazer is “a staple of the closet”. 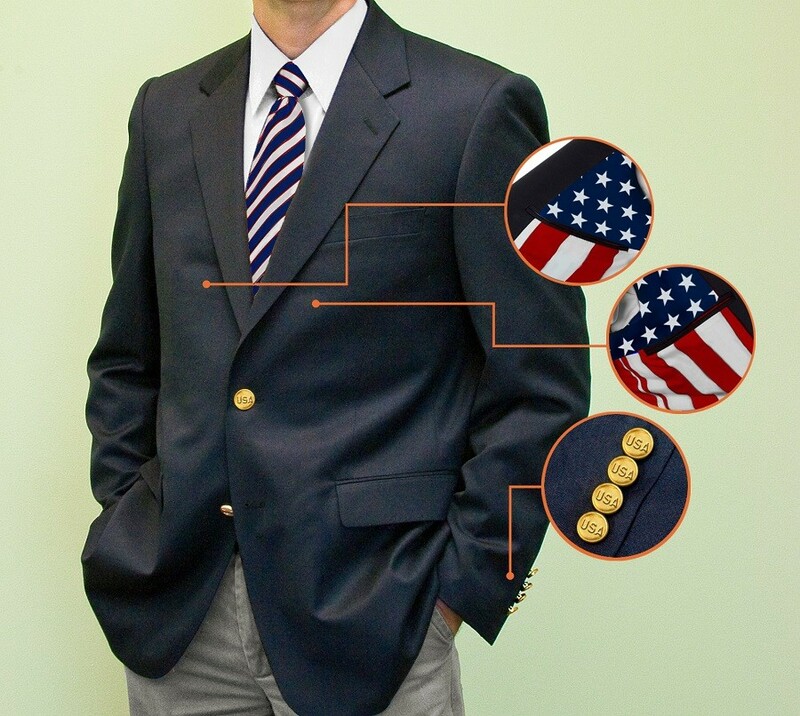 We asked ourselves “Why be boring?” We set our product design team on building the best blazer ever…fit with custom linings, built-in pocket square, custom gold-embossed button, hand-stitched embroidery, and so much more. And we’re giving it to you for less. By our going directly from our manufacturers overseas straight to your doorstep, you’re able to save more than half off similar retail cost. 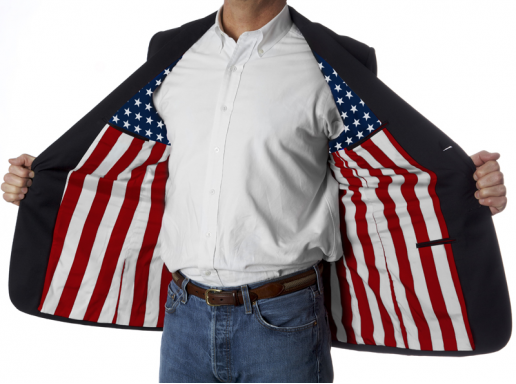 You’re getting a blazer that you’ll actually be excited to take out of the closet, for once. 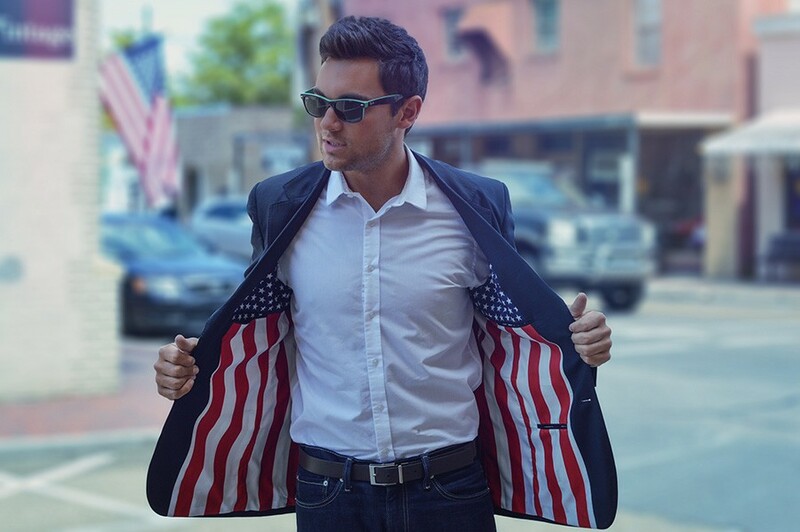 Our flag blazer utilizes the classic red white and blue colors to create a stars and stripes lining. 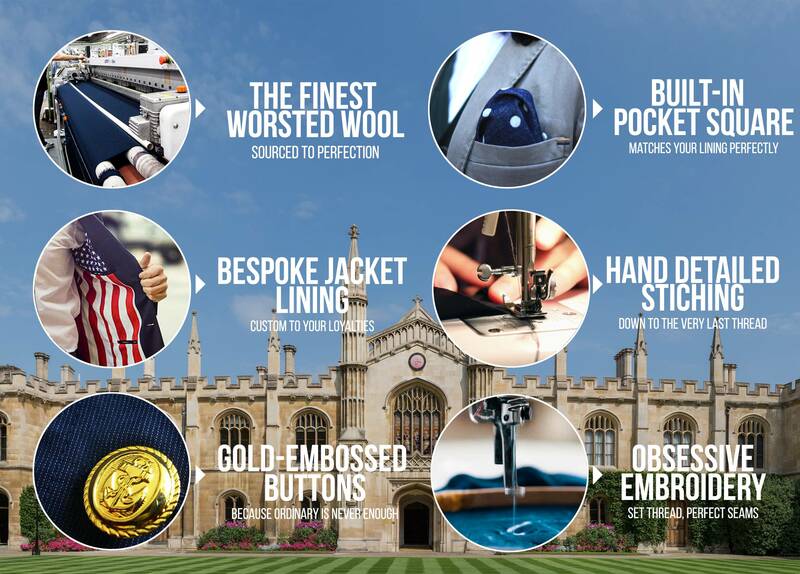 An essential element in every wardrobe, these navy blazers are made of 100% worsted wool with hand- stitched detailing and custom embossed gold buttons . 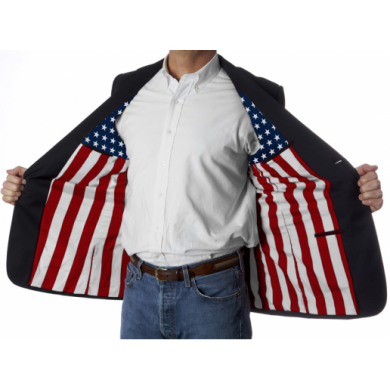 Features a classic fit with two-button closure, center back vent, and built in pocket square.